The Turkish warship TCG Gelibolu destroyed a group of pirate vessels last weekend 280 miles northeast of the Seychelles, according to NATO. 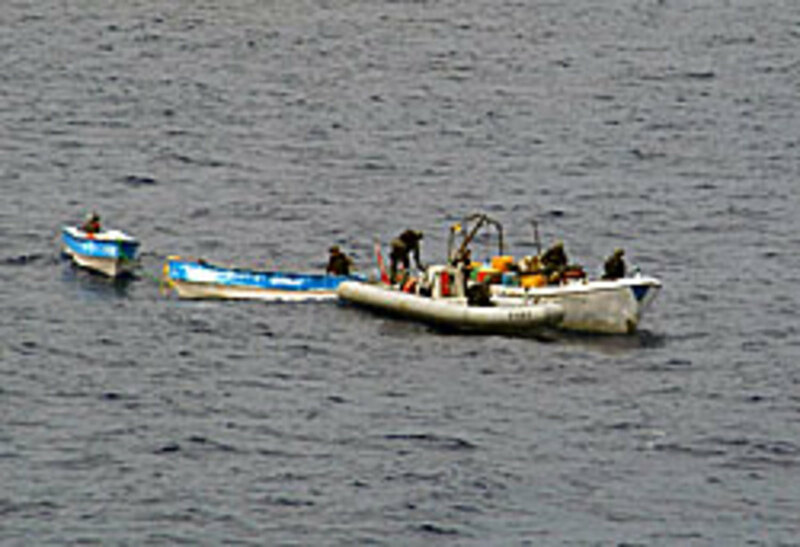 The conflict was part of NATO&apos;s Operation Ocean Shield counter-piracy mission. The pirate gang consisted of 13 pirates in three vessels. As well as weapons, in their boats they carried ladders, used to climb aboard vessels, and other piracy related equipment, according to a NATO press release. As the Turkish warship approached, the pirates threw their guns and ladders overboard and claimed they were innocent seafarers - although they were unable to explain what they were doing 820 miles from the Somali coast, with no fishing nets or legal cargo.